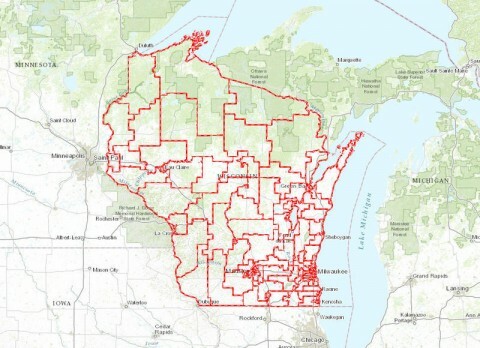 A three-judge federal panel has unanimously ordered the legislature and Governor Walker to redraw legislative districts by November 1. The panel affirmed a decision by a lower federal panel that found current districts to be excessively partisan. “Today is a good day for Wisconsin voters, and another step in the journey of ensuring that our voices are heard. Now, we will be keeping a watchful eye on the state Legislature as they draw the new maps and I ask them, for the sake of our democracy, to put partisan politics aside and the interests of all voters first,” said Bill Whitford, the lead plaintiff. Assembly Speaker Robin Vos and Senate Majority Leader Scott Fitzgerald had no comment and referred questions to Attorney General Brad Schimel. The Wisconsin DOJ is expecting to appeal the decision to the U.S. Supreme Court. There is a possibility SCOTUS could overturn the decision. However, it’s unclear if they can do so before the November 1 deadline, which was chosen to ensure new districts are in place for the 2018 elections.